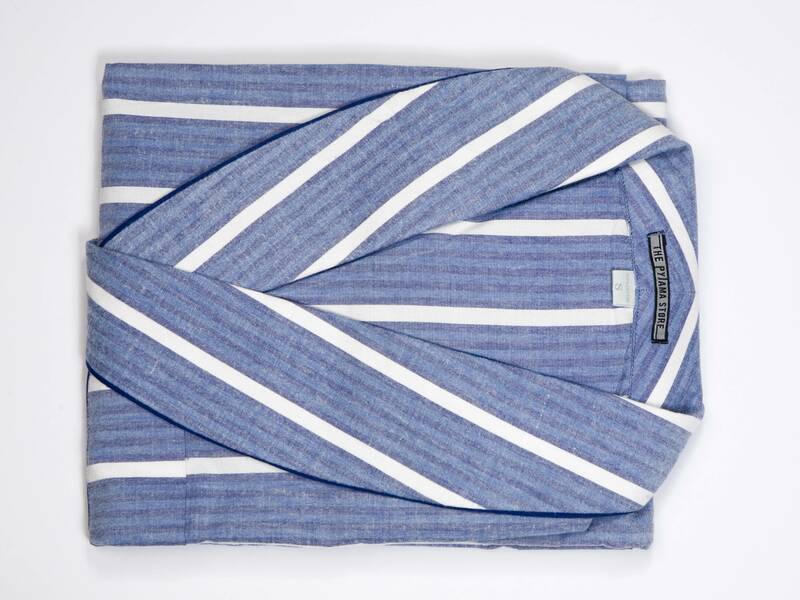 The Pyjama Store brings you the blue, black and white Classic Striped Dressing Gown. 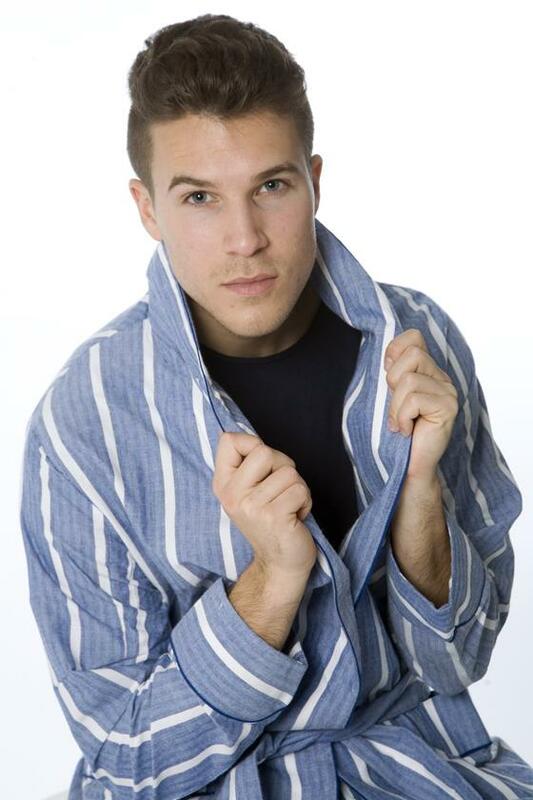 The detail on this robe is second to none with just a little extra thought. Brushed cotton which gets softer and softer as time goes by in thick material designed to give a decent life span. Features a hanging label on the inside of the back of the collar so it doesn't irritate your neck. Deep Pockets for essential lounging and a substantial tie belt fitted. Made in Kerala by Turquaz* for The Pyjama Store. *Turquaz is a Fair Trade Company. Designed and crafted by a fair trade company means you receive the finest product at a fair & reasonable price.